That is really a long intro, to begin with, but that's the beauty of blogging. 😃 You keep getting thoughts and you keep pouring it into your blog through words. I just love it whenever I sit down with my laptop to blog. It is just whole another world to me. 💖 Now let us move towards the product details. For all the times you’ve struggled to perfect the “no-makeup” makeup look, there is now an answer! 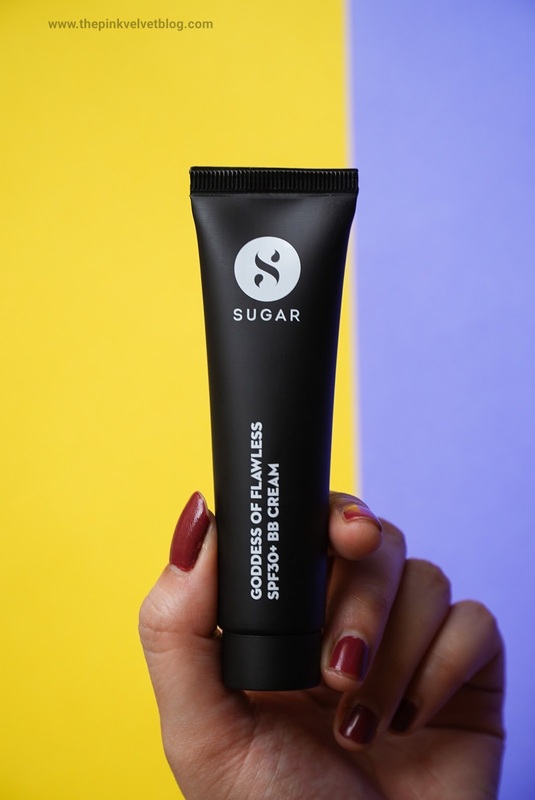 Introducing the SUGAR Goddess Of Flawless SPF30+ BB Cream whose ultra-lightweight formula sinks into the skin with the ease of a moisturizer while shielding it against the sun with its in-built SPF30+ protection. With a luxurious matte finish that guarantees an entire day with a sweat-free face, you now have front-row access to beautiful glowing skin! 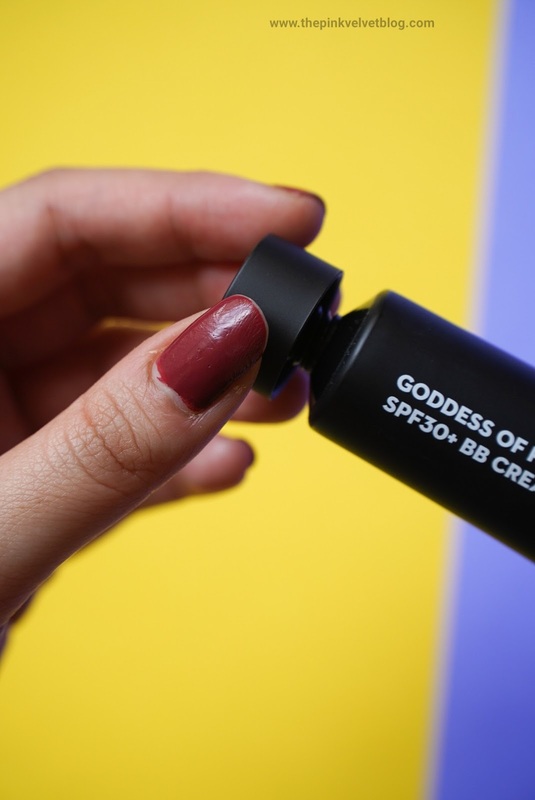 So go ahead - bin your primer, foundation, moisturizer, and sunscreen – because this little beauty does it all and delivers a flawless finish in one simple step. First, I thought it is going to be a bit dark for me but after blending out, it was completely fine. It has slightly pink undertones so it worked for me pretty well. Isododecane, Cyclopentasiloxane, Polysilicone 11, Mica, Polymethylsilsesquioxane, Cyclohexasiloxane, Polyglyceryl-3 Diisostearate, Hexyl Laurate, PEG/PPG-20/15 Dimethicone, Triethoxycaprylylsilane, Dimethicone, May Contain: CI 77891, CI 77947, CI 77492, CI 77491, CI 77499. My Skin Type: Light/Medium Beige with Pink Undertones. 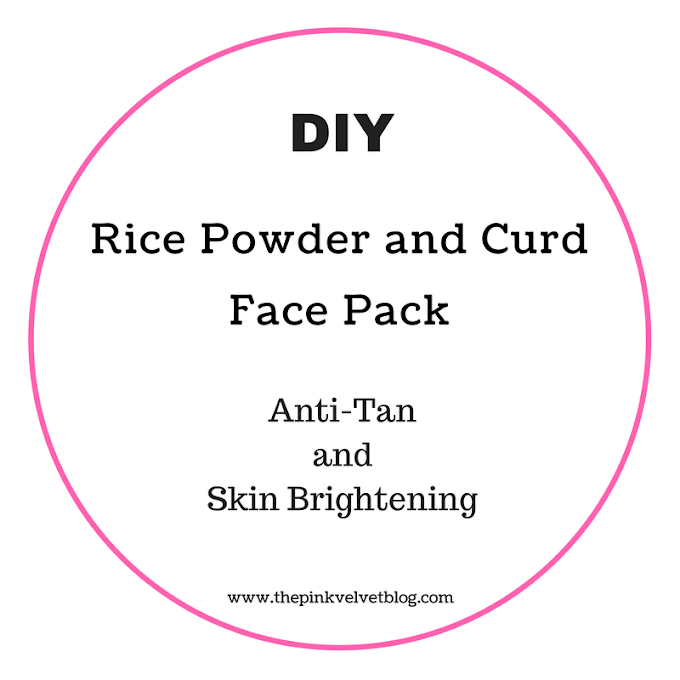 Oily, Sensitive and Acne-Prone Skin. Packaging: It comes in a black squeezable tube with a screw cap having a nozzle which controls the flow. I found the packaging super classy, convenient, travel-friendly and mess-free. It has shade name and expiry date on it so even if you throw the outer packaging, you will have the information. Fragrance: There is no fragrance as such even if it is there, it is hardly noticeable. 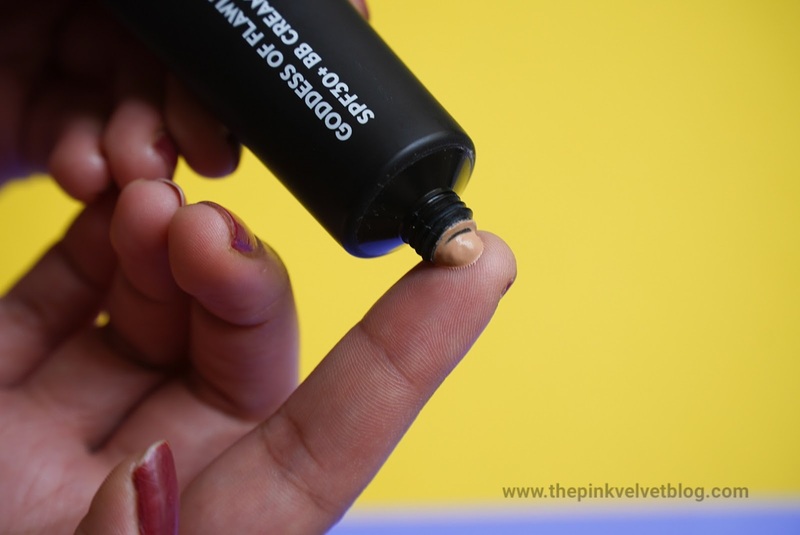 It claims to be lightweight and easy to blend no doubt, it is 100% true. Having a combination to oily skin I enjoy such airy light textures in creams. This BB Cream is so light on my skin that I don't even feel like I am applying something and yes, it is easy to blend as well. I didn't face any struggle to massage the product onto my skin. It actually feels like light mousse texture. I enjoy it. It claims to have that primer effect as well and maybe that's why it feels soft and smooth while blending it onto the skin. Moreover, there are some Ingredients in this which are present in primers too such as Cyclopentasiloxane and Dimethicone so yes, it does have primer in it. You can use your makeup brush or blender, but I used my fingers to massage and blend BB Cream onto my skin and it worked well. As mentioned above, it blends out really smoothly. 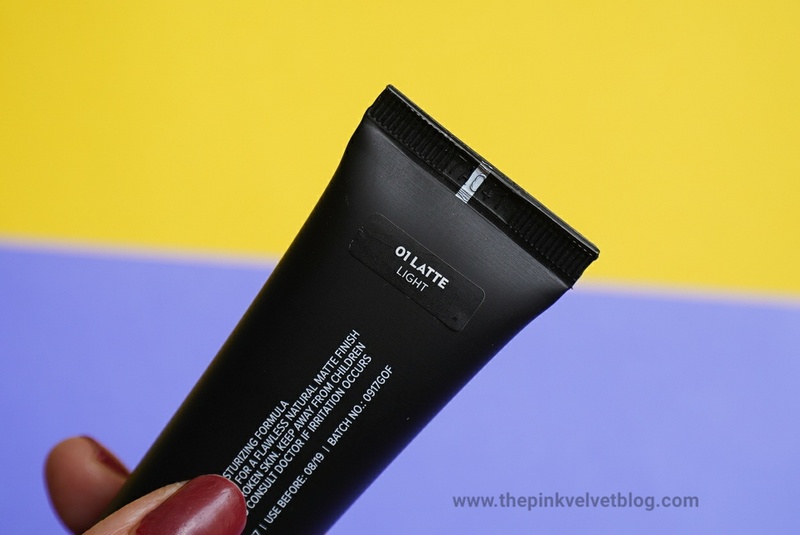 It is so lightweight that it glided onto my cheeks and it is mousse-like airy. 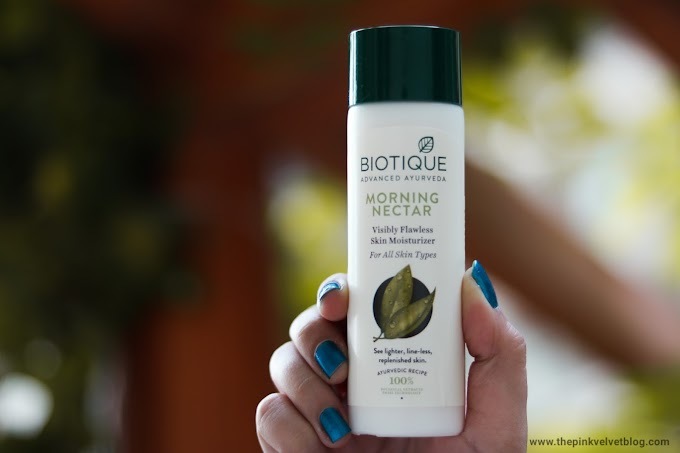 I loved how easily, softly, and smoothly it blended onto my skin. That is what I love about BB Creams. The "No-Coverage" coverage BB Creams has is just so apt for "Your Skin but Better" or simply "Natural" kind of look. This BB cream provides light or near to light coverage which doesn't cover or conceals your blemishes or pimples or redness if any, but slightly blurs and evens the skin out. Because this feels like I am wearing nothing on my skin, I can easily wear this for the whole day. 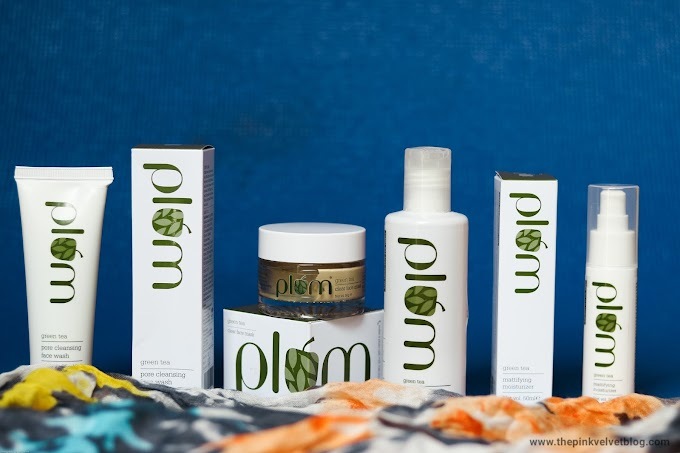 It claims to have the weightless moisturizing formula. No doubt, it is weightless but it doesn't provide any moisturization. I first, applied my moisturizer and massaged it well and then followed up with this SUGAR BB Cream. At the same time, it isn't drying. If in-case you are going through excessive dry patches or flaky skin, it is going to peek through. 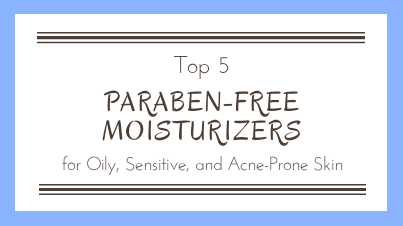 It won't make them further dry, but because it ain't moisturizing, you will still feel that dryness so always moisturize your skin no matter what, before makeup. It definitely doesn't add up any shine, grease or heaviness but if you have excess shine on your face, it doesn't mattify it completely. Like it will slightly blur them out, but won't give any matte effect. When I first wore this, I was actually going through strong acne-treatment creams which made my skin totally red and delicate and this BB Cream actually gave me that itchy feeling within 20 minutes of application. Not an extreme level of itch, but that minor tingling kind of itch. And I had no clue, why a BB cream is giving me itchy feeling. Later I realized that it is because of those prescribed acne-creams. So, if you know you are going through some strong acne-creams, you might feel that itch. Any Breakouts or Clogged Pores? 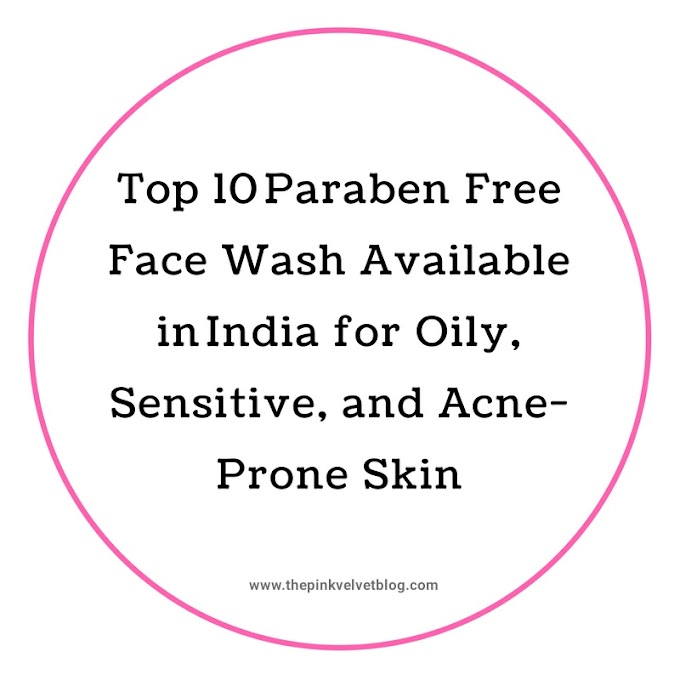 This is a very tricky point for me because it is my skin here, which is super sensitive and acne-prone. I get pimples and clogged pores like this. Recently I tried Lakme Blur Primer and I wore it for 2 days straight, and I got clogged pores. But, I gave this SUGAR BB cream a try and wore it regularly for a week or 10 days and surprisingly, I got no breakout. I thought I will be getting clogged pores if I will wear it daily but nope, It worked perfectly fine. 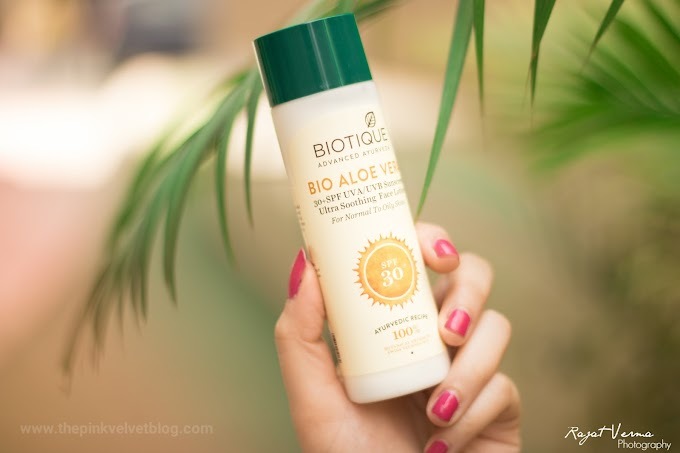 So if you are looking for a BB Cream for daily purpose, this one is a great option. If you have oily and acne-prone skin, do try double cleansing. 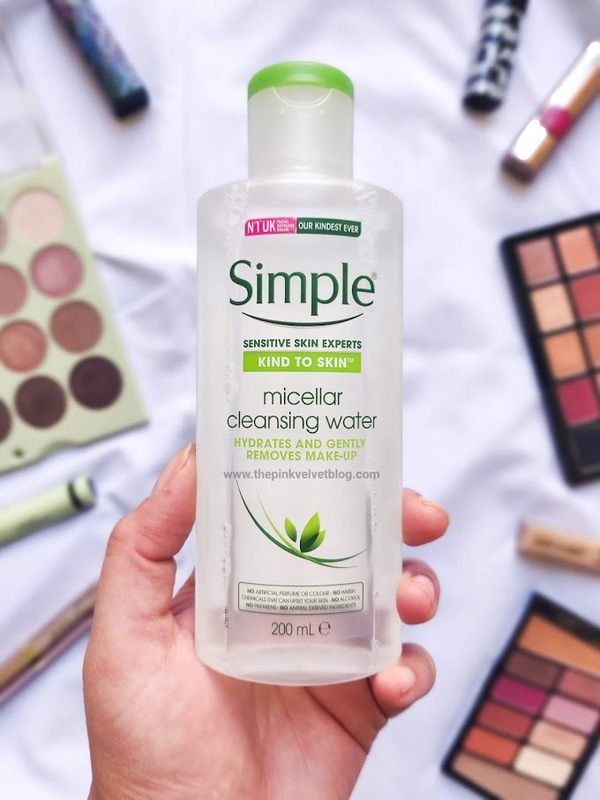 Go for either a milk cleanser or micellar water or your deep cleansing wipes followed by a face wash for a healthy, deep cleansed skin. Here is my selfie with SUGAR BB Cream on in 01 Latte with my One Plus 6 😃. And no that is not the blush on my cheeks. That was my redness which looked like the blush in my selfie. I simply paired it up with a pink lipstick which I don't remember which was it. 😃 With some mascara and blushed pink eyeshadow from the Maybelline Blushed Nudes Palette. 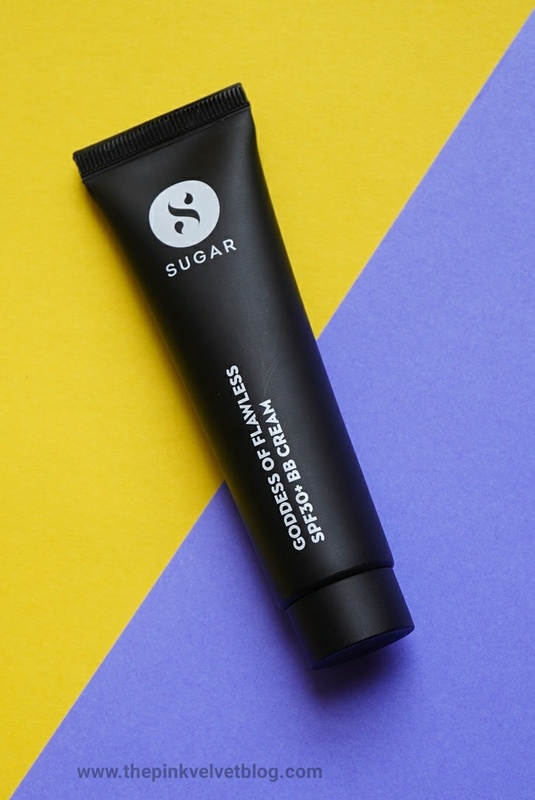 SUGAR Goddess of Flawless SPF30+ BB Cream is a super lightweight, soft, smooth and easy to blend BB Cream giving light coverage for that "No Makeup" or "Your Skin but Better" kind of look. It doesn't give any concealing coverage but slightly and nicely evens out and blurs the skin. 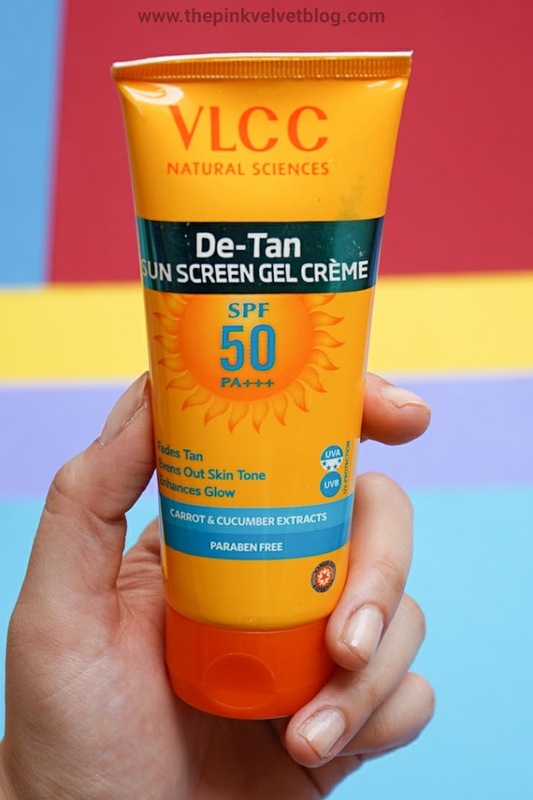 It has minimum required SPF which is SPF30+ and can be worn for the whole day. 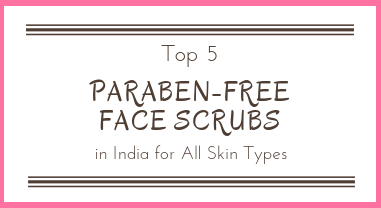 It neither moisturizes nor dries up the skin. 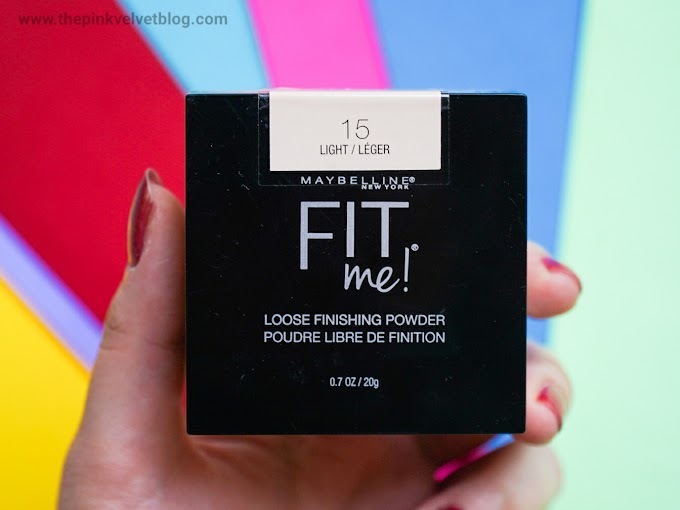 It has primer effect as well and I really liked it.